Mormon Wookiee: #10: Regional Conference with Elder David A. Bednar. As many of you know, today was Regional Conference for the South Salt Lake County Region of the Church of Jesus Christ of Latter-Day Saints. The conference was held at the Conference Center in downtown Salt Lake City, but it was also broadcast to 90+ Stake Centers in the region. We arrived at the church just in time to sit in some of the "soft seats" in front of the gym. Hooray for soft seats! 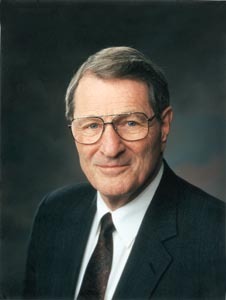 During the conference, there were great talks given by General Young Men's President David Beck, by the General Young Women's President (Aunt Elaine Dalton), by Elder Craig C. Christensen (I wish my name had triple C's), and last but certainly not least, by Elder David A. Bednar of the Quorum of the 12 apostles. Elder Bednar's talk was wonderful. I would like to give a paraphrased version of the talk in case you may have missed it (or in case you happen to live in South Dakota or South Korea). Elder Bednar started his talk by telling a story about his son Mike. When Mike was eight years old, he played on a championship-caliber youth soccer team in Arkansas. In fact, Mike's team was scheduled to play in the league championship the next week. However, the game was scheduled for Sunday. Elder Bednar was curious to see if his son would choose to obey the commandments and keep the Sabbath day holy or if he would decide to play in the game instead. He asked his son, "Mike, what do you want to do?" His son replied, "Well, we don't play on Sunday. Let's visit the coach." Elder Bednar drove Mike to the coach's house, Mike went to the door alone, rang the doorbell, waited for the door to open, and then when it did, he simply said, "Coach, I won't be playing in the championship game on Sunday because I will be in church." Then he turned around and went back to the car. Elder Bednar asked his son, "Are you okay?" To which, Mike replied, "Yeah, can we stop at McDonalds now?" Elder Bednar used this story to humorously demonstrate the power of a child's faith and to emphasize the role that parents have in teaching their children to have such faith at an early age. I would like to use the rest of this blog post to discuss Elder Bednar's explanation of the "Character of Christ", as I found it to be particularly powerful. 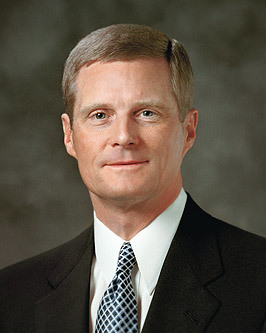 When Elder Bednar was a new stake president, he attended a meeting taught by Elder Neal A. Maxwell. During the meeting, Elder Maxwell said, "If not for the character of Christ, there would have been no atoning sacrifice." A. 40 Day Fast -- After Jesus had fasted for 40 days, He was met by Satan, who tempted Him with food, power, pride, and prestige. Despite His weakened state, Christ resisted all of these temptations. Matthew 4:11 says that after this encounter, "Then the devil leaveth him, and, behold, angels came and ministered unto him." Elder Bednar explained that although it would have been wonderful to have angels come and minister to Christ after He had been through such a difficult ordeal (a 40 day fast followed up by a spiritual battle with the devil! ), the Joseph Smith Translation of the verse actually describes the experience differently. It reads, "Then the devil leaveth him, and now Jesus knew that John was cast into prison, and he sent angels, and, behold, they came and ministered unto him (John)." What a difference!!! Even in His weakened and tired state, Jesus was unselfishly thinking of someone else. Instead of relying on angels to comfort and strengthen Himself, Jesus sent them to help out His cousin John the Baptist, who, in reality, was probably suffering much less than Jesus Himself was at the time. This is one example of the "character of Christ". 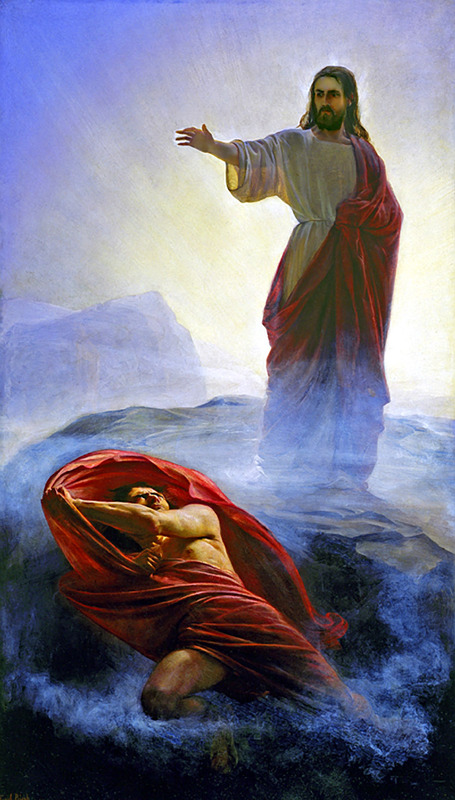 B. Healing the ear of the High Priest's guard -- After completing the most grueling and difficult trial ever experienced, Christ began to descend from the Garden of Gethsemane with his apostles. Judas Iscariot, who had left he presence of the Savior a mere few hours before, met Jesus with a number of armed guards and betrayed him with a kiss (Matthew 26:49). 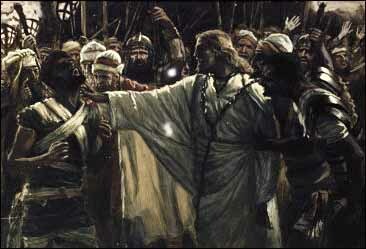 In a hasty reaction, Peter, the chief apostle, reached out with his sword and smote off the ear of one of the guards. At this point, Jesus was physically and emotionally exhausted. He had just "sweat...as it were great drops of blood" (Luke 22:44) during the agony of the Atonement. He had much bigger things to worry about than the ear of one of his enemies. But what did He do? He reached out and healed the man's ear. Even after enduring the greatest trial of all time, the Savior looked outward and demonstrated love and compassion to someone whose suffering was far less than His own. This is another example of the "character of Christ". C. "Behold thy mother!" -- Even in His darkest hour as He hung on the cross, Jesus continued to look outward. Jesus knew that after His death, His mother Mary would be left without His earthly companionship and that she would need someone else to take care of her. 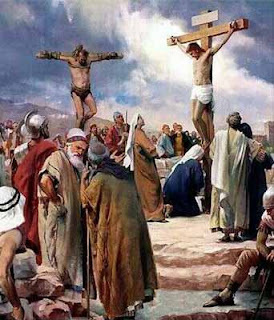 At that moment of indescribable pain, John 19:26-27 records, "When Jesus therefore saw his mother, and the disciple (John) standing by, whom he loved, he saith unto his mother, Woman, behold thy son. Then saith he to the disciple, Behold thy mother! And from that hour that disciple took her unto his own home". Until the very end, Christ never deviated or lost focus. He always unselfishly focused outward on others. This is perhaps one of the greatest examples of the "character of Christ". I am grateful that I had the privilege of listening to Elder Bednar's talk this morning. However, much more so, I am grateful for the "character of Christ". He truly is our perfect example. My greatest desire is to become a bit more like Him each day. Thanks for the summary. We were out of town for the weekend and missed it. Thanks again! It was great to read about the character of Christ. Wish I wouldn't have missed it! Wow. This is cool. It's amazing to see the way Christ treats others in their time of need, especially when He is suffering more. I was searching my house for my notes from this talk yesterday and I couldn't find them :( (our stake attended at the conference center and I was wrestling small children during his talk, so I think that might have something to do with the lost notes...) Thanks for posting such a detailed synopsis! :D I really enjoyed this talk! Thank you for posting this summary. Fantastic! I appreciate this blog! Well done!